Posted September 5, 2014 by William Martin & filed under Headlines. BBC Radio 4 has announced that authors Neil Gaiman and Terry Pratchett will be creating a new dramatisation of their co-penned cult-classic, Good Omens, for the station. The audio drama will star Colin Morgan (Merlin) as Newton Pulsifer, Josie Lawrence (EastEnders) as Agnes Nutter and Paterson Joseph (Peep Show) as Famine, with Mark Heap (Spaced) and Peter Serafinowicz (Shaun Of The Dead) as Aziraphale and Crowley. 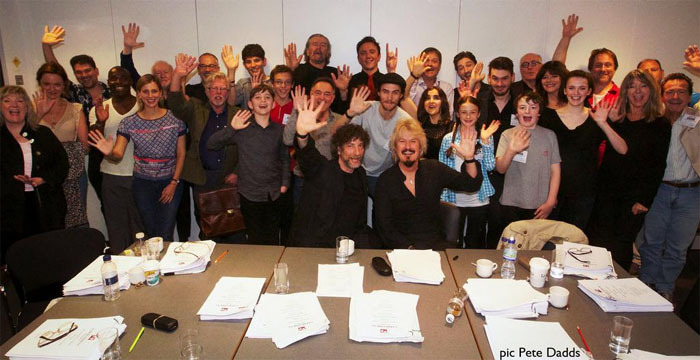 Reuniting the team behind Radio 4’s Neverwhere, Good Omens begins recording today in a secret London location. Originally released in 1990 and listed among the BBC’s Big Read Nation’s 100 favourite books, this is the first dramatisation of Good Omens. The cast also includes Louise Brealey (Sherlock), Clive Russell (Ripper Street), Julia Deakin (Hot Fuzz), Simon Jones (Hitchhiker’s Guide To The Galaxy), Arsher Ali (Four Lions), Phil Davis (Whitechapel) and Mark Benton (Waterloo Road). Cameos will include the Gardeners’ Question Time team, as well as Neil and Terry themselves. The official synopsis reads: “According to the Nice and Accurate Prophecies of Agnes Nutter, Witch, the world will end on a Saturday. Next Saturday in fact. Just after Any Answers on Radio 4. “Events have been set in motion to bring about the End of Days. The armies of Good and Evil are gathering and making their way towards the sleepy English village of Lower Tadfield. Atlantis is rising, fish are falling from the sky, the Four Horsepersons are assembling; everything seems to be going to the Divine Plan. Good Omens is currently scheduled to air on BBC Radio 4 in December, broadcast across a week in five half-hour episodes and culminating in an hour-long finale. 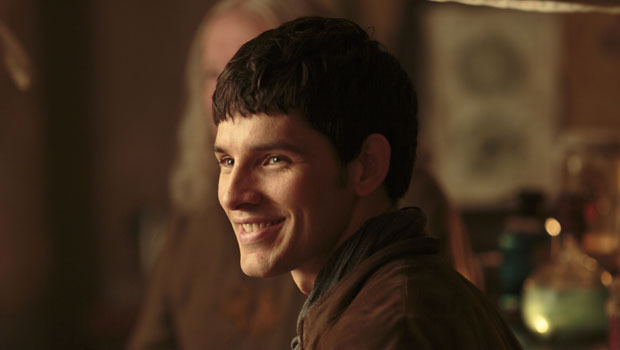 Colin Morgan! Wonderful news! Thank you! Colin will be outstanding as always! !